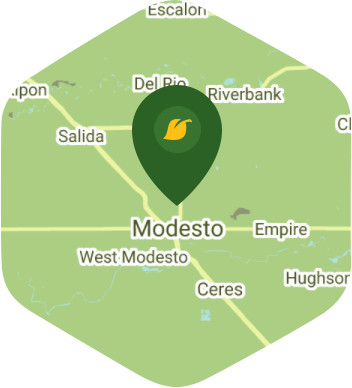 Modesto is a small city that is located in what was once the railstop between Los Angeles and Sacramento. It has humble beginnings, but it is now one of California's most dynamic art and culture hubs. Living here means you get to enjoy so many opportunities to explore a ton of new things, including touring wine country or going on a relaxing weekend getaway to Yosemite. However, seeing as your yard needs to be taken care of you probably might not have much time for any of these things. Lawn Love isn't going to let that happen because we want you to have fun during the weekend. Leave all the yard care to us while you go out there and enjoy Modesto with friends and family. Yard care is one the many things that our company is good at, so you can trust us to give your beloved yard the TLC that it needs to become a thing of beauty. Our people will be working hard to make sure that your yard will be something you can come home to every day and feel proud of. We are a fully licensed and insured company meaning your yard will be in great hands as long as Lawn Love is on the job. If you want to try our yard care service, you can call us at 209-353-8304. You can also ask for a free online quote. Dusk and dawn are the best times to water your lawn (the sun will rise at 6:22 AM and set at 7:43 PM today in Modesto). Average lawn size 3,039 sq. ft.